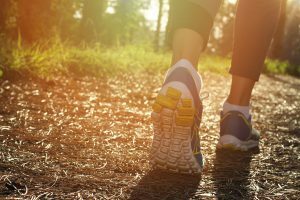 So, has all that outdoor activity started to take a toll on your feet? Are you starting to experience some sharp pains in the heel of your foot? Well, in this case it might be time to consider addressing some of those concerns before your symptoms worsen. Plantar Fasciitis is a condition in which the band of tissue (plantar fascia) that runs from your heel to your toes on the bottom side of your foot becomes inflamed. 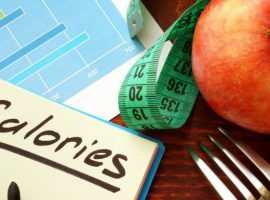 This is a common condition that affects roughly 10% of the population and is typically seen in runners, individuals who spend prolonged periods of time on their feet, and those who are obese. 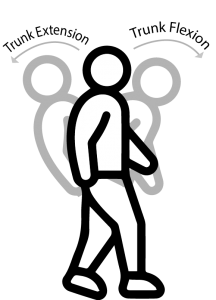 All of these factors can directly affect the positioning of your foot in standing (weight bearing) versus sitting (non-weight bearing) positions. Other symptoms indicating you are experiencing this condition include significant pain in the morning when first getting out of bed and walking. This occurs because the fascial tissue has tightened in the evening when you were not weight bearing and then the excessive stretch upon standing causes increased discomfort. Here are some things I have found the most helpful if you are suffering from these symptoms. I really like two stretches in this instance, one for the plantar fascia and one for the Achilles/calf. – Achilles/Calf stretch: Hang your heels off the edge of a step. You should feel a comfortable stretch through the calf area. Hold the stretch 20 seconds and repeat 5 times. Do this 5 times per day. 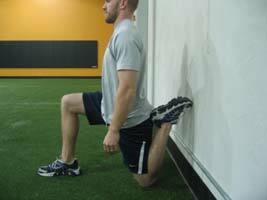 – Plantar fascia stretch: Standing facing a wall push your toes into the wall and let them extend backwards. Continue to press the toes into the wall until the stretch is felt through the bottom of the foot. Hold the stretch 20 seconds and repeat 5 times. Do this 5 times per day. Stressing the tissue will help promote a healing response. – Toe scrunches: Place a towel on a slick floor or on cookie sheet on the floor. Try to scrunch up the towel using your toes. Perform 10 minutes once per day. This is another way to directly stress the tissue and will help promote tissue healing. – Golf ball roll: Roll a golf ball under the arch of your foot for 10 minutes twice per day. 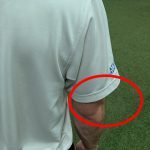 – Ice bottle: An alternative to the golf ball roll is to freeze a long, 10 oz. bottled water and roll that under your arch. This will provide you with the massage and some inflammation control at the same time. Finally, I encourage icing for 10 minutes at the end of each day. – This will help slow the inflammation process. You should also reduce stressful activities, which include running and jumping for 4-6 weeks. If these few tips don’t help alleviate your symptoms over that period, you may be suffering from a more severe case or there are other factors contributing to your condition. 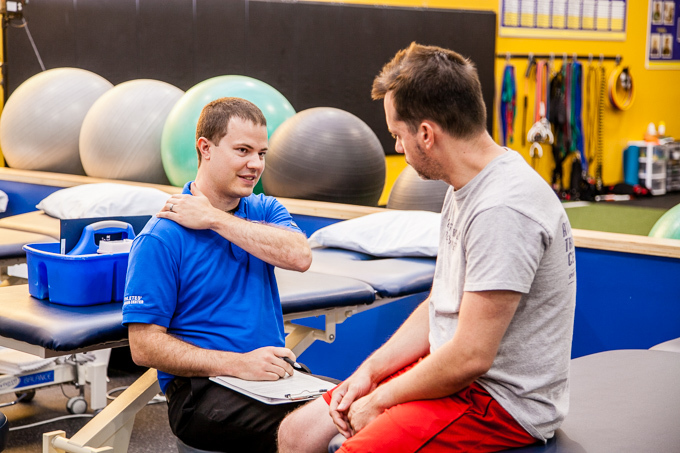 In those instances it is best to follow-up with a physician and/or physical therapist who can perform a thorough assessment and provide more thorough recommendations based on your presentation. Question: Which technique listed above has been the most beneficial to reduce your foot pain? 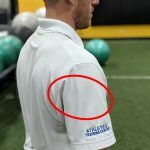 This entry was posted in Blogs and tagged foot, fasciitis, flantar, pain, Nick Wegener on June 5, 2017 by Athletes' Training Center. 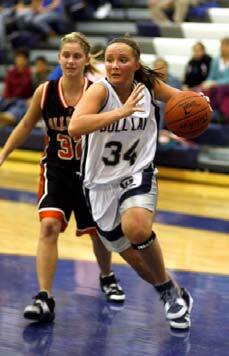 Defeat the “mid-season slump” that plagues your young athlete. The dreaded “mid-season slump.” You know, it is that period of time when your kid’s repetitions are high and their practices are sparsely scheduled between their competition dates. 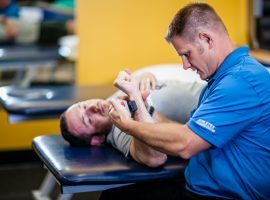 As a physical therapist, this is the time when we find that the body is over-stressed and not given enough time to recover which may lead to injuries. Today, we are going to cover 3 step-by-step exercises you can have your kid perform to decrease their chance of suffering from front knee pain. 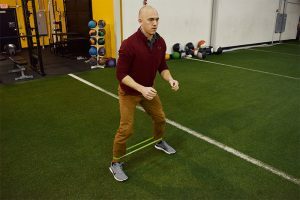 With the athlete completing more repetitions and the motivation for new goals being set high, constant attention to proper jumping, landing, and running mechanics may be inconsistent. 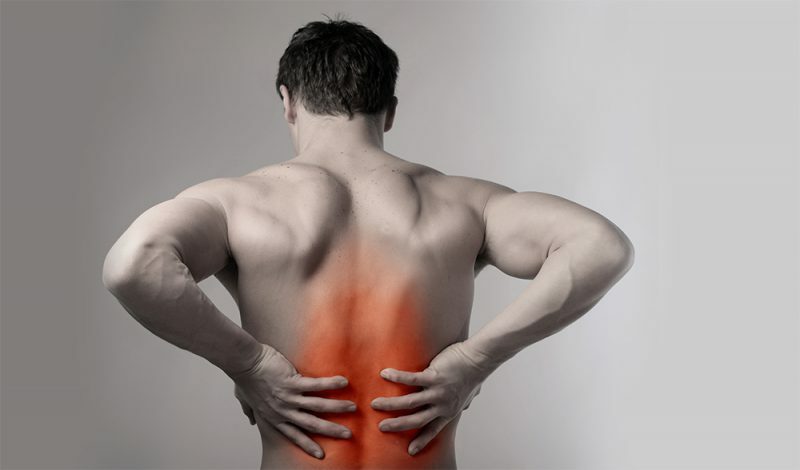 That can lead to fatigue, muscle weakness and even front knee pain. 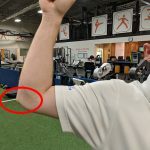 There are many injuries that can occur during this “mid-season slump.” But today we are going to focus on one common injury that we treat often at Athletes’ Training Center, it is called “Patellofemoral Pain Syndrome” (PFPS). 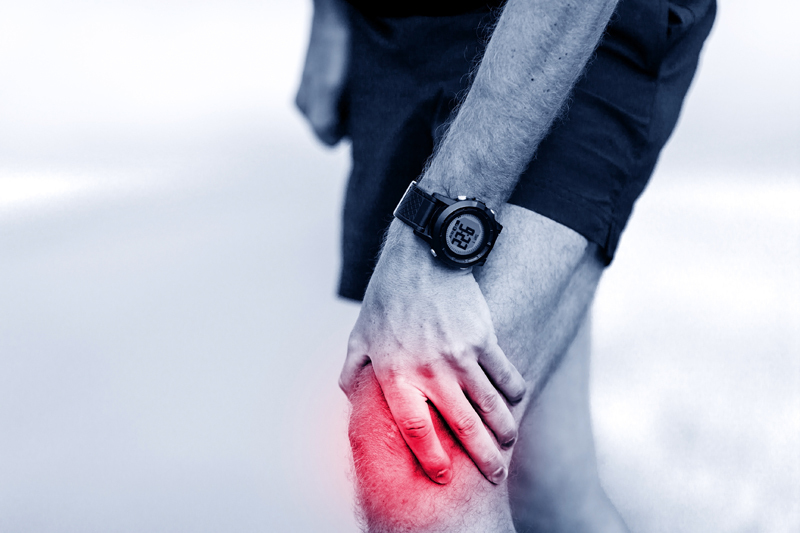 PFPS describes pain in the front of the knee that occurs with sitting, squatting, going up/down stairs, running, and jumping. 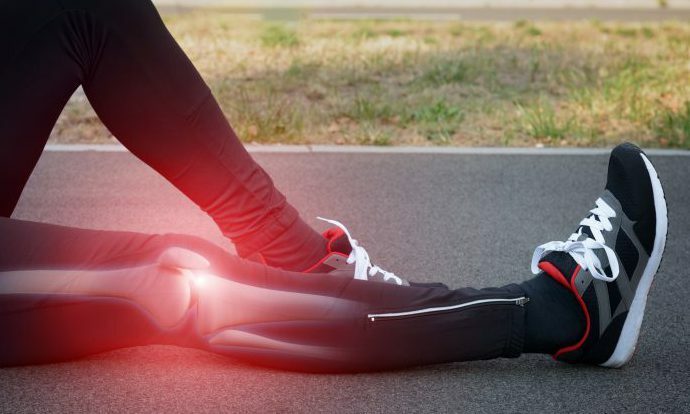 Believe it or not, researchers have found that PFPS may actually be coming from weakness in gluteal muscles and improper mechanics during sport-related activities. Our skeletons are designed with three gluteal muscles; those gluteus muscles are called the maximus, medius, and minimus. Research has concluded that weakness in the gluteus medius, in specific, may be the main contributor to PFPS. The gluteus medius muscle sits on the outside of the hip. This muscle helps to kick your leg out (as in a jumping jack) and rotate your knee outward. 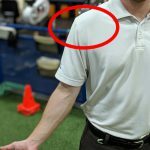 Front knee pain caused by weakness in glutes? 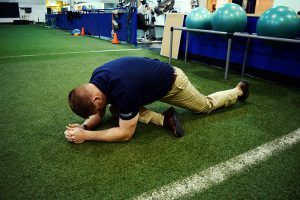 Now you may be asking, “how do I know if my child’s knee pain is due to weakness in their gluteal muscles?” First off, if they have knee pain, you may consider having them be evaluated by a physical therapist. But a good at-home test would be to have them stand in front of a mirror. Have them stand on one foot and perform a single leg squat. If you notice that their opposite hip drops, their standing knee falls inside or they lose balance, they may have gluteal weakness. 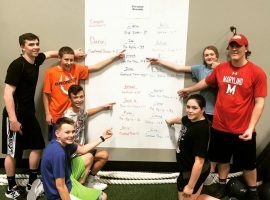 Maintaining strength in their gluteal muscles may be an important and preventative measure you can have your son or daughter take during this “mid-season slump.” This will ensure that they can achieve all of goals they had set for the season. 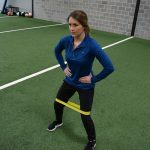 Here are 3 exercises you can have your kid perform to decrease their chance of front knee pain. Helping your child stay focused on proper knee alignment while they perform in their sport will decrease their occurrence for PFPS knee pain. 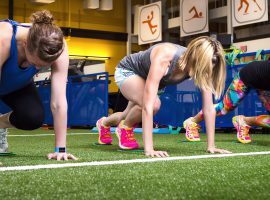 Ensuring strong knees may also help your athlete: jump higher, run faster, leap bigger, and land stronger. If you have questions about completing these exercises, or know of someone who is experiencing current issues with front knee pain then contact us today! We will get you connected with the right person for your needs. 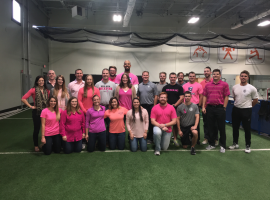 This entry was posted in Blogs and tagged stephanie, physical, pain, knee, therapy on April 19, 2017 by Athletes' Training Center. Have any of you tweaked your lower back while picking up a heavy object? 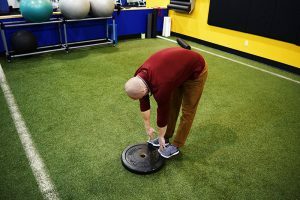 This is a common mechanism of injury, but we actually have a strength training exercise that mimics the act of lifting an object off the ground. It is called the deadlift and it is, without question, one of my favorite things to do in the gym. 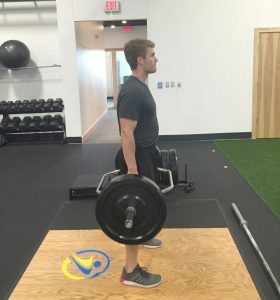 Unfortunately, the deadlift often has a bad reputation for being associated with lower back injuries. 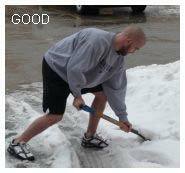 There is no debating that poorly performed deadlifts will hurt your back. However, correct deadlifts are extremely beneficial! In fact, they build tremendous amounts of strength in your legs, hips, glutes, back, arms and hands. 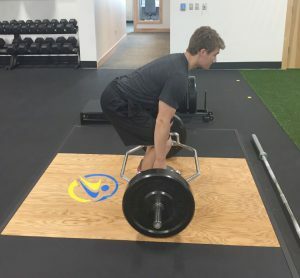 Let’s take a look at how you can safely perform the deadlift to ensure that you are reaping all of the benefits of this full-body movement. Getting in the proper starting position for a deadlift can be tricky. To get in the right setup, act as if you are going into a vertical jump. Boom! That’s a hip hinge. From here, reach down and grab the bar and then pull your chest up. Now you are in the proper starting position. Now that you are properly set up, there is one more thing you must do before lifting off the floor. The last step is pulling the slack out of the bar. Doing this will tighten up your upper back and prep your body for the lift to ensure a smooth transition from the floor. If using a load that is close to your max, it is also beneficial to take a quick inhale prior to lifting. This will increase intra-abdominal pressure and will further increase the rigidity of your torso. Be sure to fully exhale once you finish the lift! Push through your heels to lift the weight off the floor. Once the bar reaches your knees, forcefully extend your hips to finish the lift. You should be squeezing your glutes and your abs to complete the exercise. You should not extend your lower back by leaning back. If you are new to the deadlift, I recommend starting with a kettlebell or by flipping a dumbbell upside-down. Once proficient, progress to a hex bar or straight bar. 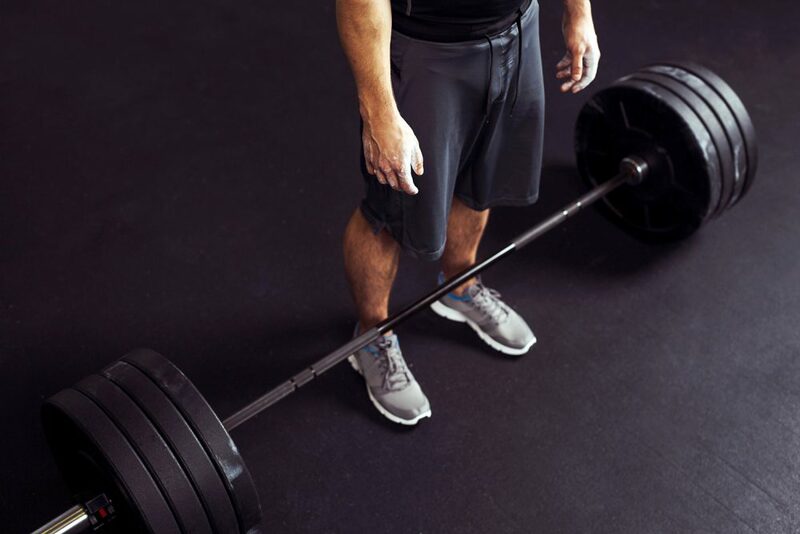 I encourage you to give these tips a try the next time you deadlift. Not only will you perform the lift safely, but you may be surprised at how much weight you can do! 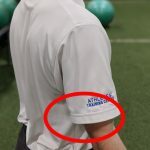 Question: If you have any further questions about your form or technique feel free to contact me or any other trainer here at Athletes’ Training Center! 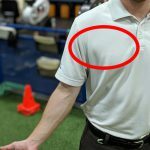 This entry was posted in Blogs, Fitness, Sports Performance and tagged Mike, Servais, back, pain, strength, deadlift, lifting, lower back pain, strengthen back muscles, Athletes' Training Center on October 23, 2016 by Athletes' Training Center. The sun is finally shinning and the temperature is rising, which means many of us are moving our workouts outdoors! Some people are year-round runners, but if you’re anything like me then you only run on a beautiful day and as a last resort for a quick workout. It never fails this time of year I see an uptick in the number of runners coming in with overuse injuries. Many of these injuries could be minimized, or even prevented completely, with some proper maintenance of hip strength. The first is controlling knee position during the stance phase of running. Stance phase is defined as the time from when your foot initially contacts the ground until you push off for your next step. 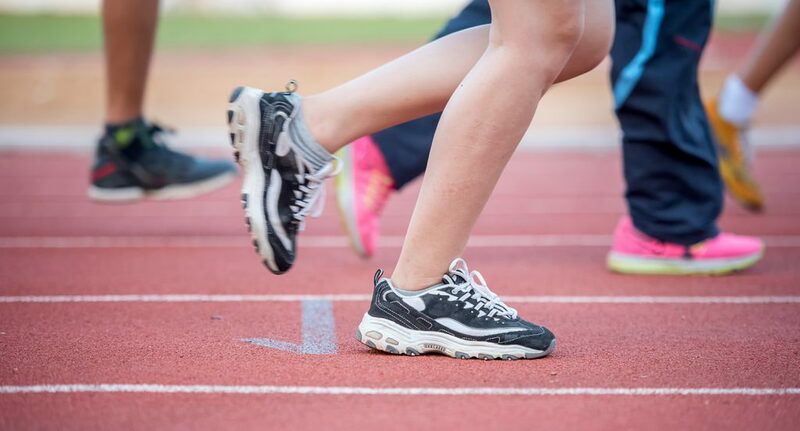 A runner’s knee should generally stay in line with their second toe while in stance phase and deviation inside of this point is called knee valgus. Excessive knee valgus consistently during the stance phase can lead to break down in a runner’s knee or foot. The good news is the hip muscles can easily control this knee valgus. The second reason hip muscles are important for a runner is for pelvis control. Every time a runner is standing on one foot their hips should stay relatively level (see photo on the left). 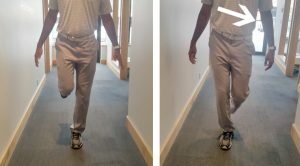 If they drop while standing (photo on the right) on one foot then either the hip muscles are weak or are not being properly activated while running. 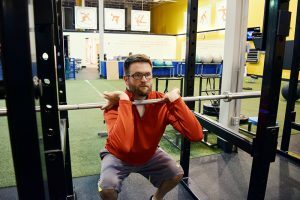 In my opinion the best way to avoid either of these problems is to make lower extremity strength training a part of your weekly training regimen at least 2 times a week. Your strength plan should consistently contain single leg strengthening exercises such as: single leg squats, lunge variations, and step up or down variations. While completing these exercises make sure and focus on your knee staying in line with your second toe and keeping your hip level each time. If you have questions about completing these exercises for current issues with pain or just for injury prevention then contact us today! We will get you connected with the right person for your needs. Question: Do you have any questions about the strength of your hips and the exercises you should be implementing into your workout routine? 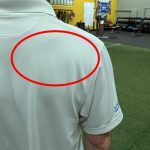 This entry was posted in Blogs, Fitness, Physical Therapy and tagged muscles, form, pain, hip, josiah, running, hip strength, exercise outdoors on June 28, 2016 by Athletes' Training Center.